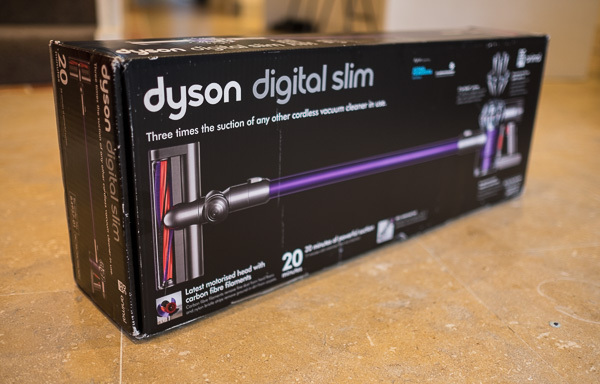 For the last two years, the only vacuum cleaner in our house has been the Dyson DC35 Digital Slim , which was the first Dyson handheld to come with an extending wand, allowing you to use it like a full-size machine. It’s been going strong for two years without skipping a beat, so we were thrilled when a brand-new DC59 Animal arrived for us to try out. The DC59 has a few improvements over the older DC35 and DC44. It has a new-generation V6 motor, which spins at up to 110,000 times a minute, making it up to three times faster than conventional electric motors. Boost Mode, which give you an extra power boost for stubborn dirt (or in the case of our three-girl household, glitter) has been improved so it now delivers 50 per cent more power than previous models. It also has a redesigned floor tool which is now lighter and has better pickup. The DC59 definitely has stronger suction than our DC35. We tend to do a quick pass over the whole house every day or so, and the DC59 is more than capable of doing that on a single charge. The redesigned floor tool works better on our carpet and we now have much less glitter decorating our floors than before. We are also able to use the docking station (which you can get a good look at in the promo video below), which we hadn’t tried before and were impressed with how easily the DC59 slips in and out. No more searching drawers for the charger! 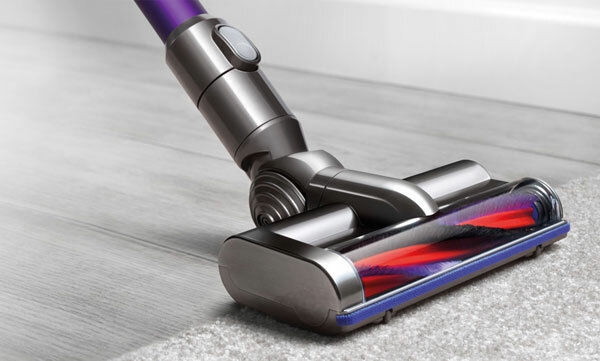 If you’re looking for a vacuum cleaner that is just as capable in tight corners as it is doing an entire house you can’t go wrong investing in the Dyson DC59 Animal. The DC59 Animal retails for $649 from Dyson.